Estou absolutamente seguro que iremos viver na CEC um novo capítulo. Acredito que a nossa Igreja esta mais madura para viver esse novo tempo de uma forma muito mais excelente. O Patriarca Bispo Bates, certamente, será usado para liderar a nossa Igreja nos próximos anos com sabedoria e amor. Ele necessitará de nossa ajuda, compreensão e oracões constantes. A Igreja do Brasil está com o coração aberto e submisso para facilitar e cooperar com a sua orientação espiritual. Devemos ter sempre presente na mente que fazemos parte de uma grande igreja. Cada dia sinto-me mais feliz e orgulhoso de pertencer a essa Comunidade Carismática. No Brasil temos experimentado um tsuname espiritual. Que o SENHOR nos ajude nesse novo kairós que vamos viver sob a sábia atuaçáo espiritual do novo Patriarca. Estaremos sempre ao lado dele para encorajá-lo e participar dos seus sonhos. I am absolutely certain that we are entering a new chapter in the history of the CEC. I believe our Church is mature enough to face this time with excellence. The Patriarch, Bishop Bates, will certainly be an instrument to lead our Church into the future with wisdom and love. But he will need our help, understanding and constant prayers. The Brazilian Church is ready with an open and submissive heart to work together under his spiritual guidance. We should always remind ourselves that we are part of a great Church. Every day I feel happier and more proud to be a part of our Charismatic Communion. In Brazil we are experiencing a spiritual tsunami. May the LORD bless us in this appointed time we are about to enjoy under the spiritual direction of our new Patriarch. We will be at his side to encourage him and to participate in his dreams. This is a new day for the International Communion of the Charismatic Episcopal Church. I participated in the election of the Patriarch as an elector representing the African continent. Thousands of Christians, Bishops , and clergy from this region prayed to God for the election of the New Patriarch. The election of Bishop Bates was unanimous. It is God who gave the electors the same mind and the same spirit. This proved beyond any doubt that this was God’s choice. Our prayer is that the whole church will join in praying for Gods guidance to the Patriarch during this second phase of our church. May our loyalty and support for him make our church stable and fulfill the mission for which God has entrusted us with. It is with great joy that I received the news that the Most Reverend Craig W. Bates has been chosen as the Patriarch of the International Communion of the Charismatic Episcopal Church.I speak on behalf of the entire ministry of Priests for Life, Gospel of Life Ministries, Rachel’s Vineyard, the Silent No More Awareness Campaign, Missionaries of the Gospel of Life, and the National Pro-life Religious Council when I say that we offer heartfelt congratulations to Bishop Bates, our friend and collaborator in the Lord, and that we pledge our daily prayers for him in this new responsibility and ministry. Throughout the years that I have known Bishop Bates, as well as other bishops and priests of the CEC, I have been inspired and uplifted by the fellowship we have all shared. It has been my privilege to work with Bishop Bates in various pastoral meetings, and to stand with him on the streets of America, bearing witness to the sanctity of life. His commitment to the Gospel of Life, in all its fullness, gives me confidence that the future of the CEC, under his pastoral care, will continue to be one of promise and hope. In my personal capacity and on behalf of the ministries I serve, I pledge active collaboration to the entire Charismatic Episcopal Church. I look forward to many years of work and worship together. What a joy it was to be able to witness the unity of our Bishops at the selection of Bp. 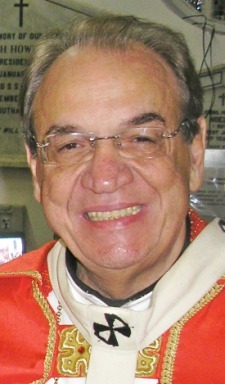 Bates as the Second Patriarch for the International Communion of the Charismatic Episcopal Church. For weeks we have been praying for God’s direction for this most important meeting and I know He heard those prayers and answered them according to His will. There were members of the US Primate’s Council and of the US House of Bishops present just so they could pray while the Patriarch’s Council met, as well as several priests who also came to pray. Some were concerned that the meeting would go beyond the first day but when God speaks and His people are obedient, what might normally take days was accomplished in a matter of hours, from the secret nominations by the College of Archbishops to the selection of Bp. Bates, and the ratification of the election by the College of Archbishops, what might have taken days was quickly accomplished to the glory of God. My prayer is that every member of the CEC would now focus on our church going forward and for the anointing of God’s Spirit not only on the new Patriarch, but for every member of the CEC. May we run with the vision that was given in the birth of this expression of Christ’s Body back in 1992 and not allow anything to derail us in the spreading of the Gospel of Jesus Christ. It has been my privilege to be one of the early members of the CEC. I have witnessed the best and the worst but have always known this is where God called me in 1992. God willing, this is where I will stand! It is with joy that I congratulate The Most Rev’d Craig Bates on his unanimous election as the Second Patriarch of the ICCEC. I believe the scriptures teach that it is God who raises up leaders for His own purposes at His appointed times. While Moses received God’s vision for God’s purposes for His people, when the time of Moses was concluded, Joshua was presented with the same task and the same vision–the vision was never the property of Moses or of Joshua but the vision of God! There have been a number of gifted visionaries and leaders in the first decade and a half of the ICCEC and for this I am most grateful. Now, as we begin a new season, I am also grateful that the stewardship for God’s vision for the ICCEC has been placed upon the shoulders of Bishop Bates. I trust and am confident that he and those who assist him are well able to continue the journey of our communion into a wonderful and glorious future. May humility fill our new Patriarch’s heart and may his leadership sustain and nourish God’s people and boldly proclaim His Kingdom! I welcome the news of the election of Bishop Craig Bates as the new Patriarch of the International Communion of the Charismatic Episcopal Church. As the friend of his godly predecessor, the Most Reverend Randolph Adler, I am familiar with the arduous labor that Bishop Bates must assume and the size of the shoes he must fill. In accord with the four principles enunciated in the San Clemente Declaration of 1999, I pray that his ministry will advance the unity that all serious Christians seek. It is with profound joy that I received the news of your elevation to Patriarch of the International Communion of the Charismatic Episcopal Churches. It is my fervent hope that under your leadership the Communion may continue to move to fully embrace the Faith of the Undivided Church and seek to restore the unity which our Lord desires for His Body, The Church. In our handling of a sensitive pastoral matter together I found you to be strong, loving and wise. These are the fruits of the prayer life of a bishop of the Church. May our Lord continue to give you the grace necessary to guard and guide His Church. If you are ever in need of any fraternal discussion, I stand ready to be of service to you. When the Lord is going to bless you He will bring someone into your life. 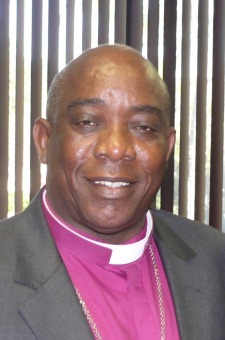 God in His grace and wisdom has seen fit to bring Bishop Bates into our lives as our Patriarch.On behalf of the Central Province I express our joy and excitement over the election of Bishop Bates. He is the man for this season in our communion. For the last eight years I have had the privilege of sitting with Bishop Bates in the House of Bishops. During this time I have witnessed his wisdom and ability to lead. Also, I have had the opportunity to experience the wonderful hospitality of his wife Cathy and the friendship of the people of his Cathedral and Diocese. Through the leadership of Bishop Bates the ICCEC will be enriched and blessed. We stand with him ready to serve the least, the lonely and the lost. We thank God for the blessing He has brought into our lives.